What thoughts come to your mind when you think of a successful business owner or executive? As a child, I have always had aspirations of serving people and being a business owner. I have been able to accomplish this goal through being a physical therapist/director for 11 years and being a business owner for 6 years. 1. You can only be successful with large funding backing you. First, it is very important to be a great steward of your money. And money is your friend, not your enemy. However, I have seen people put their development and progress on hold due to what is perceived as a lack of money. Commonly in these situations the problem is too much focus on what you do not have, rather than focusing on what you do have. 2. You will have comfortable hours. I thought as a business owner/entrepreneur that I would make my own hours. You do get to actually make your own hours as a business owner/entrepreneur, but you may end up working more hours than you think if you are serious about making your business a success. 3. You have to do everything. The truth of the matter is if you don’t do the job, no one else will. But good business owners/entrepreneurs will always surround themselves with the right team. The right team will help you focus on the more important things of your business and those things you are good at while delegating other tasks to capable and willing team members. 4. You have to be well connected. Yes, you must be a good networker. However, it is more important to be connected with the right people versus being connected to any and everyone. 5. You have to take big risks. You have probably heard many stories of business owners/entrepreneurs selling their homes or risking everything for success. Those stories are amazing, but there are more stories of business owners/entrepreneurs that have a regular nine to five while working on their business in the evenings without going into debt. 6. You are your own boss. Yes, you are actually the boss. But as a business owner/entrepreneur, you will have to report to and serve your investors, cofounders, customers, employees, etc. These are only a few of the most important truths about becoming a business owner/entrepreneur. Stay tuned for our next blog, we will discuss specifics of what sets apart successful business owners and entrepreneurs. 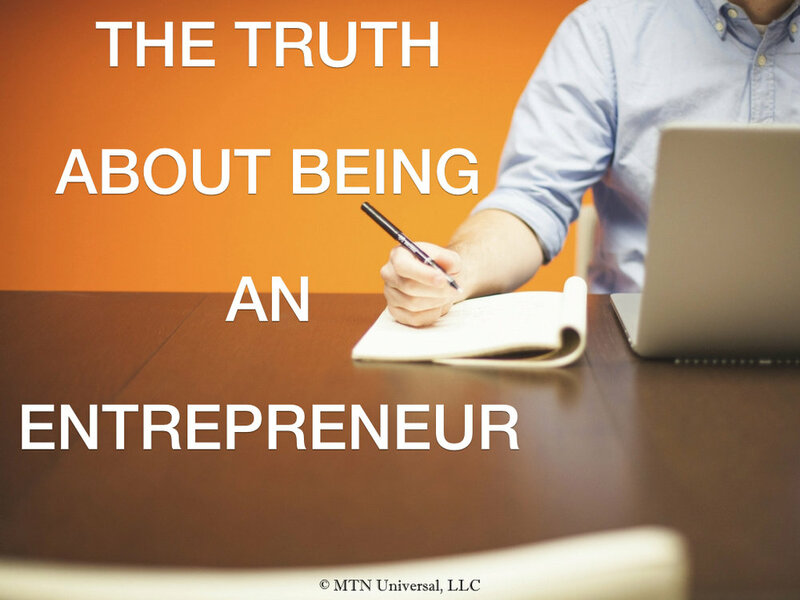 What are your thoughts about being an entrepreneur? Please leave a comment below.